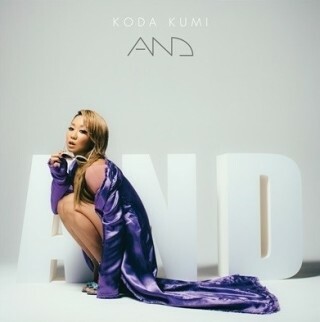 AND is Koda Kumi's 15th album & it was released on 28th Feb .
Koda's 2 joint 13th & 14th albums W FACE ~inside~ & W FACE ~outside~ were released together on the same day last March . AND is the 1st of 2 albums that was released in 2018 & 10 songs are included in the new album . Limited single songs LIT & NEVER ENOUGH are included in AND but not HUSH . 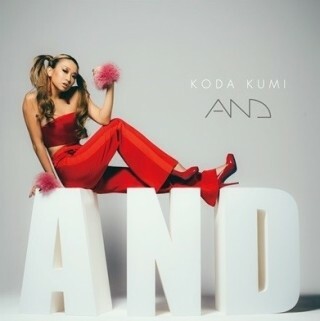 The concept of AND follows the same concept for Koda's upcoming Koda Kumi Fanclub Tour ~AND~ (originally named Koda Kumi Fanclub Live Tour ~Let's Party Vol.3~) that will begin this month on 29th April . Kicking things off in AND is PARTY which's also the only album track that gets a video made . PARTY was chosen to be used as the opening song for Music B.B. 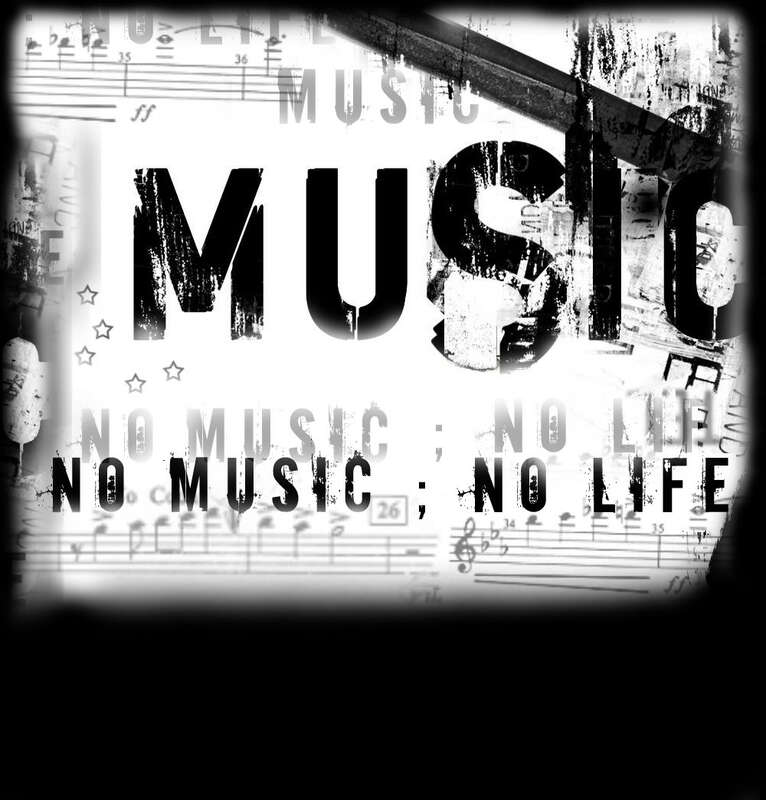 music show . As the song title suggests , PARTY is a very fun catchy song which sets the tone on what to expect in the later parts of AND . The next 4 songs are a series of back to back upbeat tracks which's packed with non stop energy . SWEETEST TABOO is aggressive sounding while GOT ME GOING' is a cool mid tempo track . WHO & OUTTA MY HEAD are 2 of my favourite album tracks in AND and before hearing the album , there was actually a snippet of WHO being featured/played in the 2nd 1/2 of the video for PARTY . At that time , I didn't know what was the song featured in the video but now that I know , it's easy to see why WHO was featured as it's a great no. & in a way it's unfortunate a video wasn't made for WHO . Same thing with OUTTA MY HEAD as the way Koda sings in this song , it's quite different in the way she delivered but she nailed it . NEVER ENOUGH was released as Koda's 62nd single & this's the only ballad sounding no. in AND . The next album track ALL RIGHT is also another pretty good song . Promo wise , this smooth sounding no. was used in the ads of Jutaku Johokan housing company & Hyogo's Minamiawaji City . LIT was released as Koda's 60th single & this was released last year as part of 3 back to back limited single releases , alongside with HUSH & NEVER ENOUGH . BRAIN & IT'S MY LIFE are the last 2 album tracks in AND . BRAIN is probably my least favourite album track & it doesn't help that the way Koda pronounced brain as 'blain' made me a bit cringe over it . Concluding things in AND is IT'S MY LIFE & it's a strong sounding in your face track which wrapped things up quite fittingly in the album . 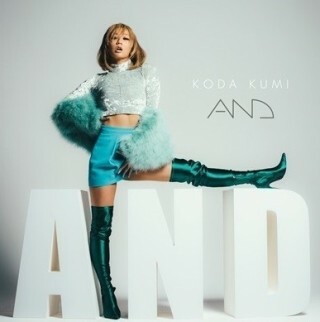 Koda Kumi released 2 studio albums on the same day last year which I thought it was quite daring of her to do something like this . Even though I don't like all the songs in both W FACE ~inside~ & W FACE ~outside~ , overall it's a commanding effort . So for Koda to decide to release yet 2 more albums this year , I'm surprised & the same thing goes with AND . Koda mentioned that her objective for AND is that she wanted to make a fun filled party theme driven album & she was able to accomplish that to a certain extent . I like most of the new material as it's non stop fun with some mid tempo tracks thrown in for good measure . AND does has some flaws in that for starters , I'm a bit disappointed Koda didn't include HUSH as I like it a lot & also for the album to be under 35 minutes , it's somewhat underwhelming but now that she decided to do away with interludes in her albums , I shouldn't be complaining about it so much . That said , AND has some great album gems such as WHO , OUTTA MY HEAD & IT'S MY LIFE , it would have been great if Koda made videos for them instead of just PARTY only but since this's an album that was made for partying , quite a few songs are something that probably could have been included in W FACE ~outside~ . The 2nd album that Koda will release later on in 2018 is titled DNA & 1 of the new songs that will be included in the upcoming new album is HAIRCUT . Hopefully HUSH will be included in DNA as it would be a shame if it's excluded . # Ken Hirai - Utabaka Dake ni. # ARASHI - Are You Happy? # Hey ! Say ! JUMP - DEAR. # Kis-My-Ft2 - Good Ikuze ! # V6 - Oh ! My ! Goodness ! # girl next door - Agaruneku ! # Saito Kazuyoshi - ARE YOU READY ? # Acid Black Cherry - Q.E.D. # V6 - READY ? # flumpool - What's flumpool !? # Yusuke - Ano .. Konnan Dekimashita Kedo. # Aoyama Thelma - LOVE ! # BREAKERZ - BIG BANG ! # Anna Tsuchiya - NUDY SHOW ! # Anna Tsuchiya - strip me ? # Eric Dill Of The Click Five Got Punk'd !